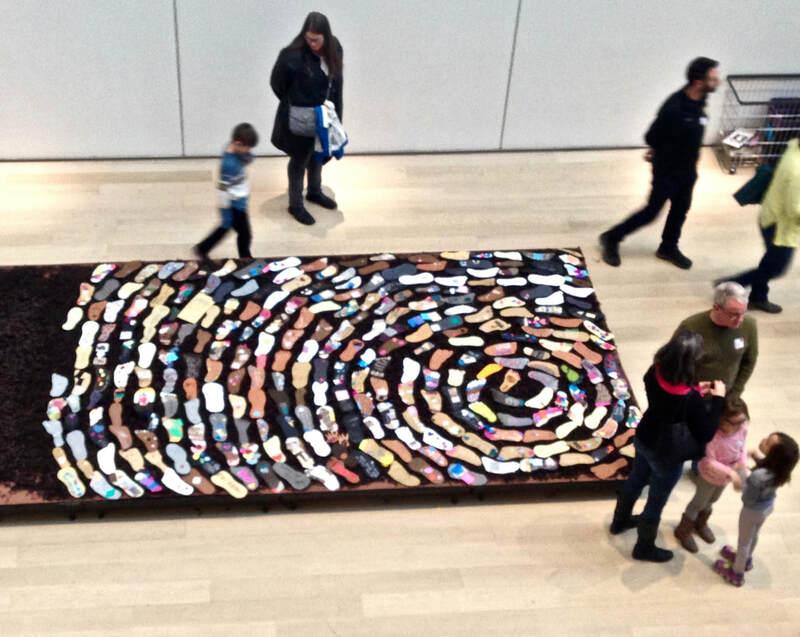 Occupying the main hallway of the Art Institute’s Modern Wing, the Lift Every Voice installation was inspired by the life of Dr. Martin Luther King Jr. and asked participants to share their vision for making the world a better place. 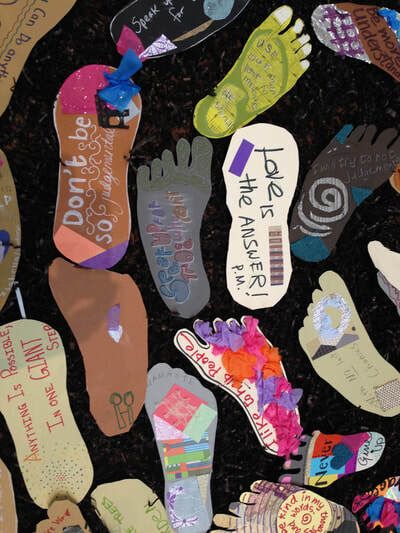 Participants traced their footprints and then illustrated them with their commitment to action to make that change happen. 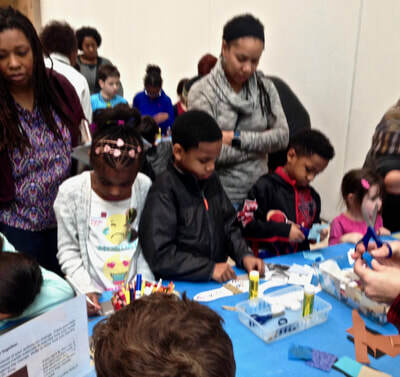 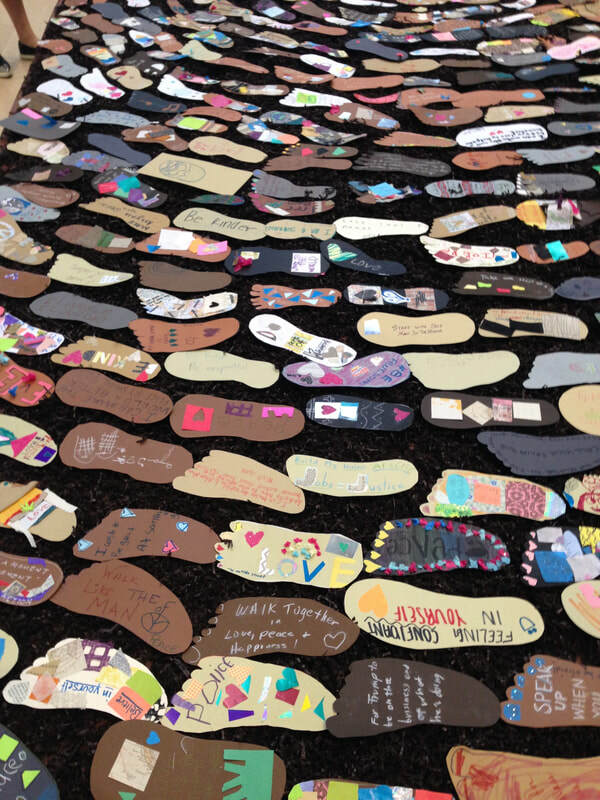 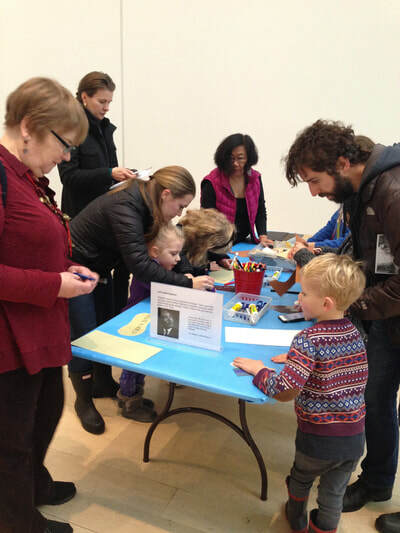 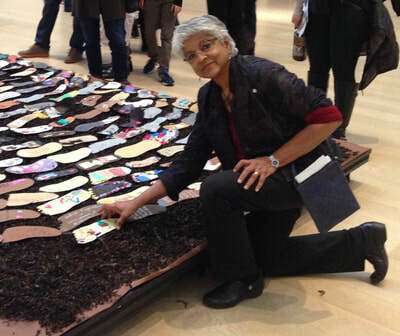 Hundreds of participants contributed to the growing spiral of footprints that followed the legacy of Dr. Martin Luther King Jr. and his vision for a more hopeful future where there is freedom, equality and justice for all people.